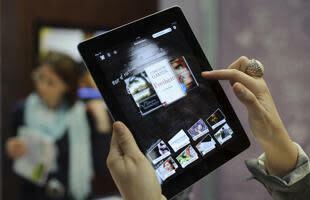 Just why are e-books so expensive, and should they be? So, while most government action these days draws criticisms of busybody interference, the Department of Justice's price-fixing charges filed April 11 against Apple and "five of the six largest publishers in the United States" brought a sense of satisfaction for anyone who has seethed while downloading a pricier title. Three publishers—HarperCollins, Hachette Book Group, and Simon & Schuster—settled to avoid the expense of a civil trial. But Apple and two others, Macmillan and Penguin USA, are fighting back. The two publishers believe that a monopoly would return to the marketplace. Apple thinks the government's case is weak (the Wall Street Journal and the Yahoo! Daily Ticker agree) and will ask for a trial in a June 22 hearing. Whom to believe? What's the agency model? How much is a book going to be? Read on. Forget the merits of the case. When are prices dropping? Summer book reading may actually get a little cheaper. CNN has a spellbinding list of things Amazon could do, like $1.99 fire sales, giveaways, or bundles. Non-Amazon e-book retailers could pump up their loyalty programs to compete. Even iBookstore patrons could benefit in the short term. While its armies of gray suits do battle in the courtroom, Apple could either drop all the publishers that agree to the agency pricing (see explanation below) and lose a chunk of its offerings, or it could negotiate with all publishers now. Who knows, maybe "The Hunger Games" could get a place in the iBookstore. How a book is priced, Uncle Sam's tale: Now for the merits of the case. According to the DOJ antitrust complaint, publishers usually sell a title to retailers for about half the list price. Retailers can then sell the book at any price. That's the wholesale model. 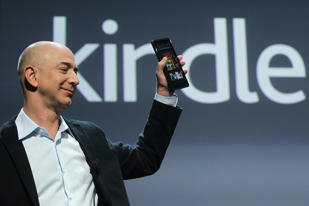 When Amazon launched Kindle in 2007 and priced all books at $9.99, competitors rushed to match or beat the price. Publishers, the DOJ said, feared that "Amazon and other retailers would demand that publishers lower their wholesale prices, again compressing their profit margins." 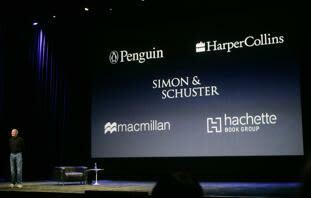 Apple's iBookstore entry took on the agency model, which lets publishers set the e-book price, and gave Apple a 30% commission as the selling agent. Publishers sell directly to readers rather than through a retailer. All these publishers scheming (and doing so "in private dining rooms of upscale Manhattan restaurants") resulted in higher prices, the government claimed, and cost readers more than $100 million. Another clause that tickled DOJ antitrust antennas: the Most Favored Nation (MFN), common in all agency contracts, in which a publisher guarantees that no other retailer could set prices below what was set for Apple. As for Apple, the Wall Street Journal says the agency model "has been upheld by federal courts and is common across many industries." The lawsuit claims it's targeting the collusion, not the business model. Incidentally, Random House wasn't sued. One Los Angeles Times opinion piece says that's because Random House didn't participate in the dinners. Note to potential conspirators: best to meet at a food court. CNET has agreed and says that Amazon's bargain pricing "was helping devalue consumers' notion of what a new book 'should' cost." Plus, publishers were giving a shot to retailers who couldn't compete with Amazon. 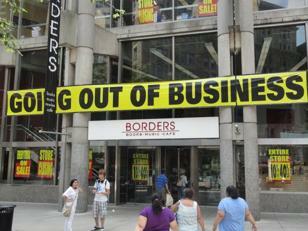 The Wall Street Journal says the lawsuit has caused investors to jump ship from Barnes & Noble. Happy Amazon, unhappy agents and authors, their story: Amazon, which used to be the biggest retailer, is calling the move "a big win for Kindle owners." The suit, however, has upset writers, as well as the literary agents who represent them. Just before Amazon introduced the Kindle, it convinced major publishers to break old practices and release books in digital form at the same time they released them as hardcovers. Then Amazon dropped its bombshell: as it announced the launch of the Kindle, publishers learned that Amazon would be selling countless frontlist e-books at a loss. This was a game-changer, and not in a good way. Amazon's predatory pricing would shield it from e-book competitors that lacked Amazon's deep pockets.. By the end of 2009, Amazon held an estimated 90% of the rapidly growing e-book market. Big corporations, indie booksellers—finding the best way to get a book out there: As mentioned before, print costs make up only a small fraction of a book's price: CNET notes that "[a]uthor advances, design, marketing, publicity, office space, and staff" account for the overhead. One author laid out a "publishing pipeline" to prove that publishers are irrelevant and to advocate the J.K. Rowling "Pottermore model" of direct author-device-reader relationship. Some still advocate for the one-stop shop, but publishers could cut one expense: Cut down on digital rights management requirements. If the agency model presided, indie booksellers could charge a lower commission and publishers could keep their margins. Time for an ironic aside? 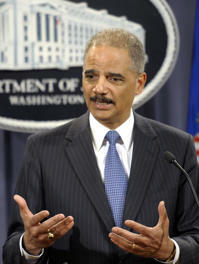 : On July 27, the question of whether federal settlements are in the "public interest" will be addressed at a hearing. In a nice twist, the government litigator collecting public comment on the case is John Read.